We are very pleased to announce that this month Wolf Greenfield opened an office in New York City. The new office is located in the Chrysler Building in Midtown Manhattan. It will be headed by shareholder Michael Rader, co-chair of the firm’s Litigation Practice. 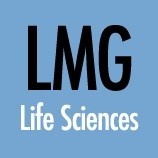 On September 14, Wolf Greenfield was named "Patent Strategy and Management Firm of the Year" at the LMG Life Sciences Awards 2016 in New York. How do you prepare a pitch for a potential new client? What should aspiring rainmakers focus on when beginning their law careers? Read answers to these and more from Jason Honeyman. Many questions have been raised about the patentability of software in the wake of the Alice Corp. decision by the Supreme Court. However, opportunities still exist to protect design elements of programs, user interfaces (UIs), and mobile applications. Matt Grady explains. This email contains Attorney Advertising. Prior results do not guarantee a similar outcome. You received this email because you are subscribed to Newsletter from Wolf, Greenfield & Sacks, P.C..